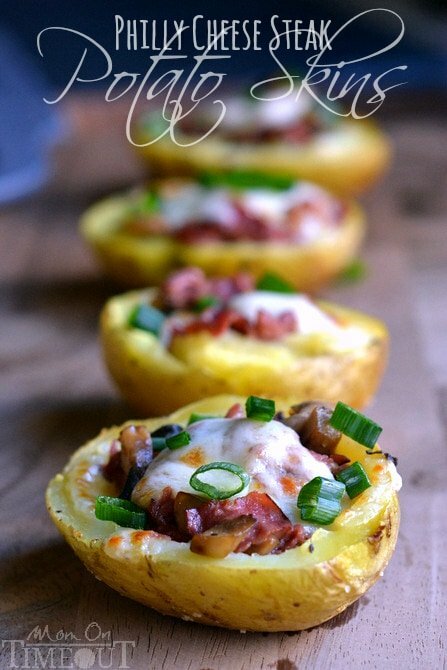 You’re going to love these Philly Cheese Steak Potato Skins! Make it a meal or serve it up as an appetizer – everyone’s favorite Philly Cheesesteak Sandwiches just got a makeover! I’m sneaking one more appetizer in here before the Super Bowl 🙂 I meant to share these little bites of pure pleasure a few weeks ago, buuut we all know I’m not the most organized person ever, sooo…I’m sharing them today! One of my very, very favorite sandwiches of all time is the Philly Cheesesteak or Philly Cheese Steak (as Google seems to prefer…) The super tender meat with all that melted cheese is pure bliss. These potato skins are a play on this iconic sandwich, incorporating all of the flavors into one tasty bite. While these Philly Cheese Steak Potato Skins may look like they’re all appetizer, they can easily be a fun weeknight dinner. A full-size Philly Cheese Steak can appear a little daunting to kids. Serving up the same flavor profile in a tasty potato skin package is perfect for small bites and small hands while still delivering BIG flavor. 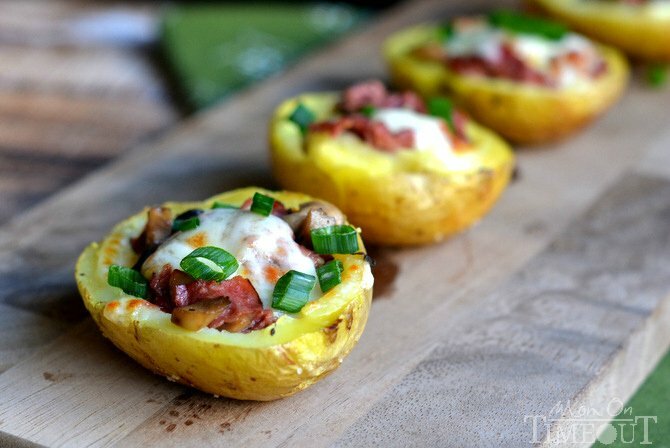 These potato skins would make the perfect appetizer for your next party! 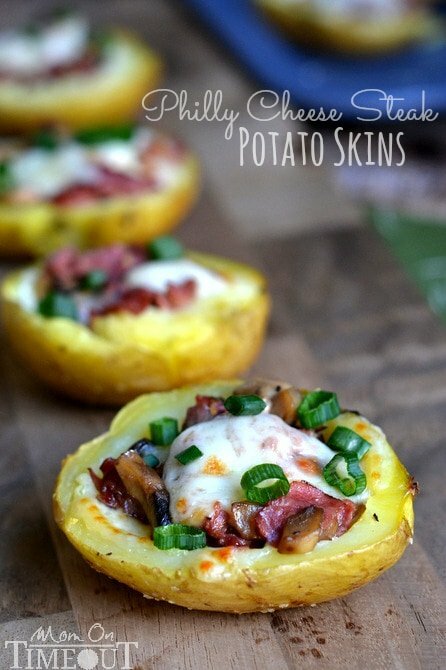 You're going to love these Philly Cheese Steak Potato Skins! Make it a meal or serve it up as an appetizer - everyone's favorite Philly Cheesesteak Sandwiches just got a makeover! Wash and dry potatoes. Pierce potatoes with a fork 2-3 times. Place on a baking dish and drizzle with olive oil and sprinkle on salt. Rub potatoes making sure skins are covered in oil. Place in oven and bake until just fork tender (20-30 minutes). When cool enough to handle, scoop out the insides, leaving a small amount of potato flesh along the edge. Heat olive oil and butter in a medium size skillet over medium heat. Add mushrooms and salt. Cook, stirring frequently for approximately 5 minutes. Add roast beef, steak seasoning, and Worcestershire sauce and continue cooking for another 1-2 minutes. Place hollowed out potatoes back on the baking sheet and fill the bottoms with half of the cheese. Evenly divide the meat and mushroom mixture amongst the 12 potato skins. Broil just until cheese melts. Remove from oven, sprinkle with green onions and serve immediately. This is probably a dumb question but do I slice the potatoes in half before baking them? Or after? In the photos it looks like the potatoes have been sliced in half but in the instructions it only says to scrape out the insides. Can’t wait to try these! What a great idea! 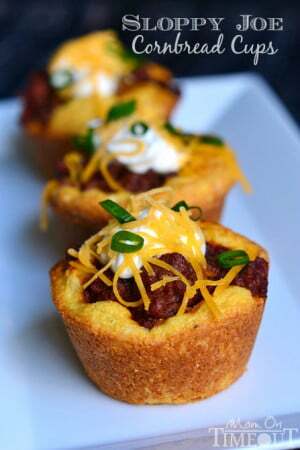 Bake them whole and then slice in half after. Sorry if that wasn’t clear Shelley 🙂 Enjoy! I am so glad I logged onto your website. These look amazing! I know exactly what I’m going to make them for. Can’t wait to try them. Definitely will stop back to look for more ideas. Hi Trish..these were awesome I made some with mushrooms and some w onions instead of mushrooms and I think the onions made or taste more like Philly cheesesteak then the mushrooms did. I love your ideas! Gosh these sound like the perfect lunch for today. I’m so glad you were able to modify to your liking! Thank for stopping by! What’s Happening i’m new to this, I stumbled upon this I have found It positively helpful and it has aided me out loads. Can you make the philly cheesesteak potato skins ahead of time? 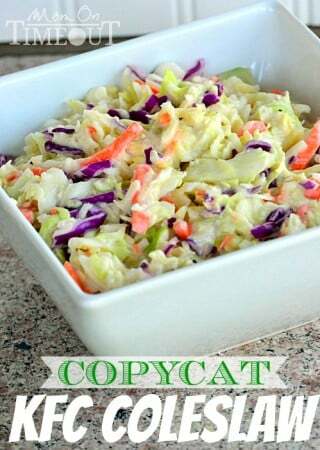 I’m having party and want something I can prepare ahead of time, keep in the fridge and then pop in the oven. Oh yes Lori! That’s a great idea! This is such a fun idea, Trish! We love our cheesesteaks here in Philly (and in my household! ), and this is just one more way to enjoy them. Love! 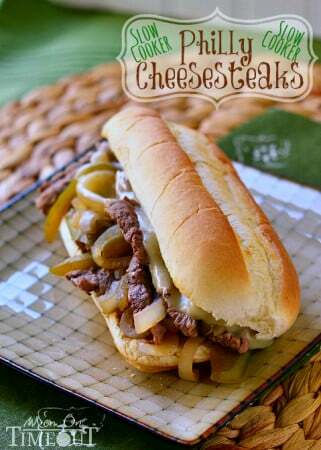 What a fantastic way to jazz up Philly Cheese Steaks! My family would gobble those down in a hurry!! !